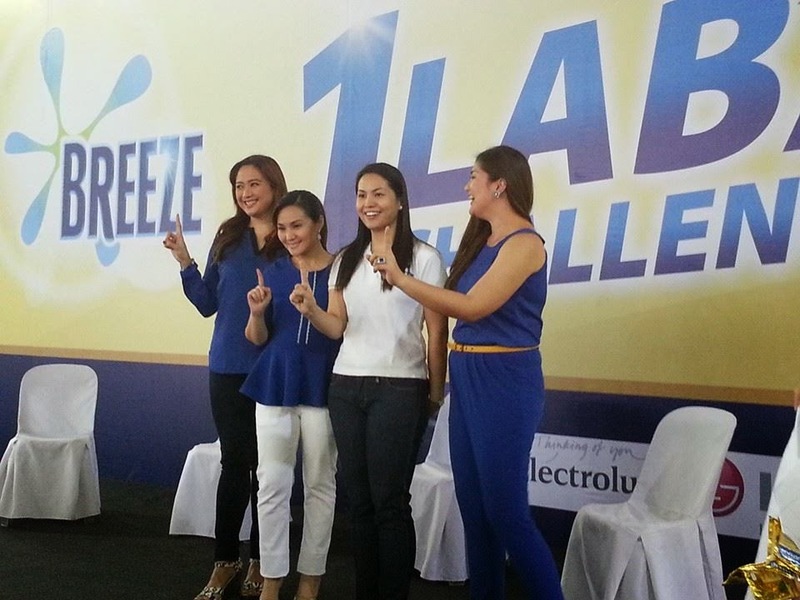 Event: #BreezePH #1LabaDay removes #1Mstains in one day! A grand day-off for all #SigeSabado Moms happened last Friday. Breeze the leading detergent brand in the Philippines gave a day-off to all moms last Friday in its first ever "#1LabaDay" Challenge washing one million clothes in a laundry event held simultaneously in barangays nationwide. We were at MRB Court, Commonwealth Quezon City specifically at Barangay Pilot witnessing moms deliver their stained clothes to the event for a FREE laundry, enjoy fun games and exciting surprises. 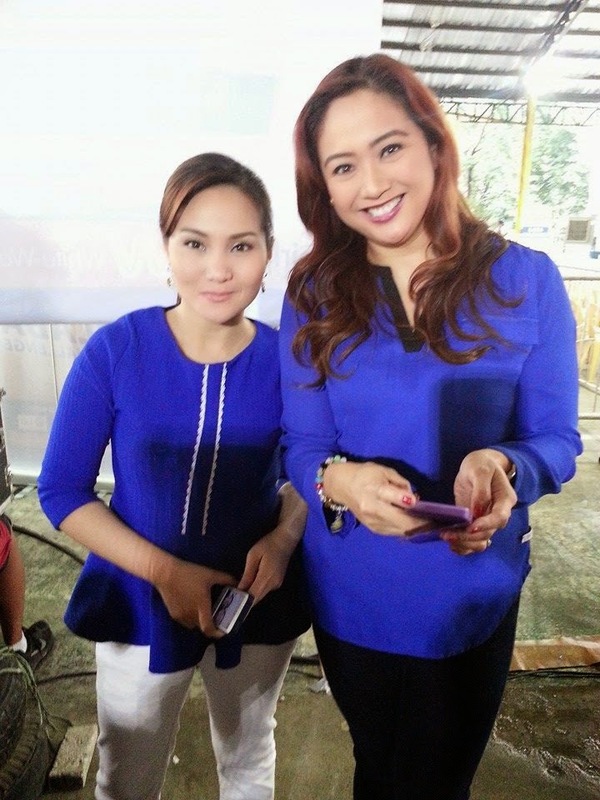 Breeze Sige Sabado Moms Dimples Romana, Gladys Reyes and Tintin Bersola-Babao brand ambassadors graced the event and joined the moms remove stains with Breeze. Breeze #1LabaDay events were held simultaneously in multiple barangays across the country including Metro Manila, Pangasinan, Batangas, Cebu and Davao. Breeze Laba Ladies were all-support with handwash using Breeze detergent and Laba Machines in partnership with Electrolux, LG, Whirlpool and White Westinghouse. We also witnessed the demo of three detergent brands with Breeze in a one minute challenge to remove stains. It was surprising that only Breeze was able to remove most of the dirt composed of paint, chocolate and other stains put on the shirt during the demo. It's probably because of Breeze's revolutionary formula ActivBleach - first and only detergent brand with melamine perfume encapsulation technology that blooms in wash and bursts in wear, making sure clothes keep smelling clean and fresh even when worn. Breeze also has four enzyme technology that removes more types of stains and a patented whitening technology that delivers visible whiteness in just one wash. It even has a unique active system for better foam profile and quicker lather plus precarbonate TAED bleach that takes out the bleachable stains without harming the environment. It's time to Breeze your way to that hard task of washing clothes. For more info please like the official Breeze Facebook Page www.facebook.com/breezephilippines and follow @BreezePH on Twitter. Join their online promos to get a chance to win washing machines from partner brands, Electrolux, LG and Whirlpool and gift packs!